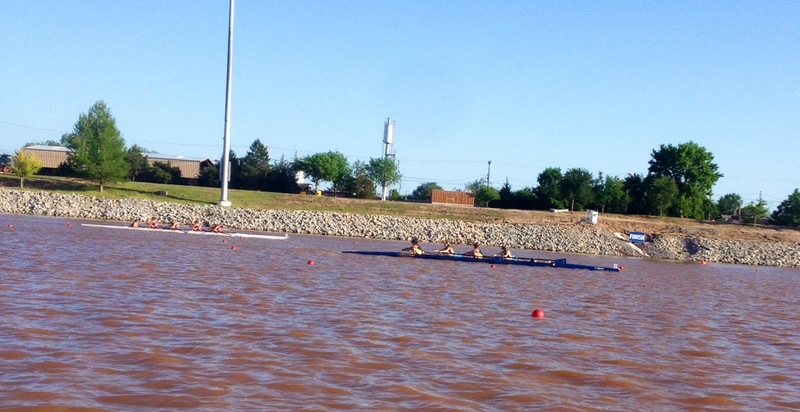 May 16, 2014 – On May 10th and 11th the Tulsa Youth Rowing Association competed in the Central Youth Rowing Championships held in Oklahoma City. As a result of the racing, Union senior Cody Shafer has been invited to represent Tulsa at the USRowing National Championships. The event is organized each year and represents the region championship for youth rowing organizations from Arkansas, Colorado, Louisiana, Kansas, Missouri, Nebraska, New Mexico, Oklahoma, and Texas. 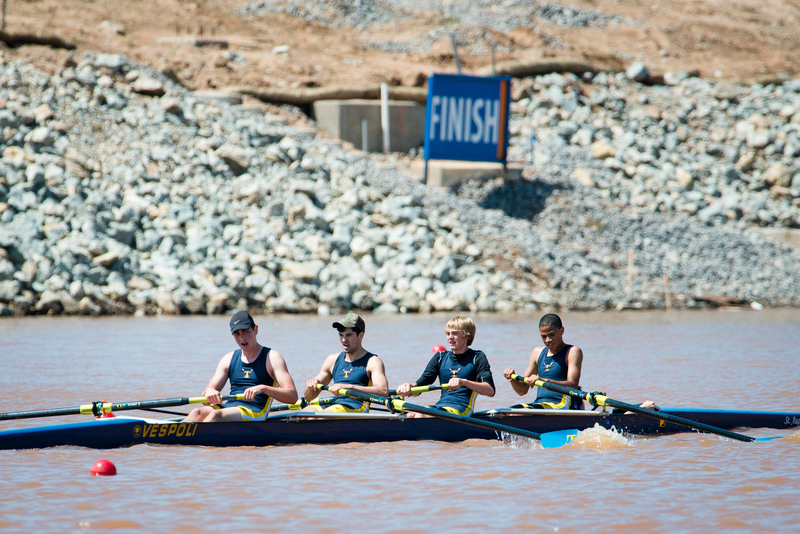 Each boat class competes over the Olympic distance of 2000m. 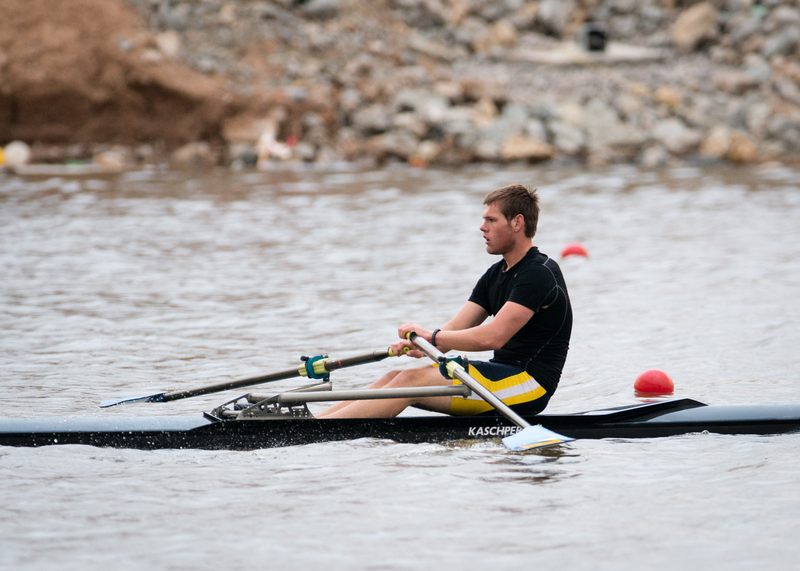 Cody Shafer rowed to the fastest time in the boys varsity single in the heats on Saturday evening and earned himself a spot in the final that was to be held on Sunday morning. Unfortunately, inclement weather caused the cancellation of races from 9am on Sunday onwards. As a result, USRowing selected athletes for this event based on their performance in the heats and Shafer received an invitation to nationals. Shafer is also in the process of signing to attend and row at OCU this fall. In addition to Shafer’s success the club also won the boys novice four regional championship by rowing to 1st place in that event. The novice boys Tulsa crew consisted of Jack Sadler (cox – BTW), Iain Kazmierczak (BTW), Andrew Kolb (home school), Taylor Hamburger (Edison) and Sterling Shine (Edison). The TYRA girls lightweight four were also awarded with the bronze medal as they recorded the third fastest time in the heats on Saturday evening (due to inclement weather again cancelling their final). The girls lightweight four was composed of Katie Gratham (Cox – BTW), Megan Nichols (Cascia Hall), Katy Pigman (Bishop Kelley), Hannah Johannsson (Jenks) and Victoria Nichols (Cascia Hall). For more information about the TYRA program please contact Head Coach Neil Bergenroth at 918.906.5233 or via email at coachb@okrowing.org.